While you’re in Auckland, New Zealand, for a visit, make sure you save time in your itinerary for a day trip to the Waiheke Island wineries. What is Waiheke Island? It’s a small island just off the shore of Auckland that is nicknamed the “island of wine” due to its nearly 30 wineries. In fact, the island was industrialized mainly for the purpose of wine production, and today, due to so many affluent New Zealanders taking an interest in the island, it has grown into an incredibly place to visit, complete with posh eateries, tons of wineries and cellar doors, beautiful vistas, and art galleries. You’ll be happy to hear that it’s only a 35-minute ferry ride from Auckland to Waiheke Island and it’s one of the most beautiful places to visit for wine on the North Island. So you will be prepared, we’ve written you a guide to the Waiheke Island wineries, complete with ferry information, where to stay, where to eat, and we’ve even included a few organized tours you can book so you don’t have to do any of the planning (or driving) yourself. One of the best things about Waiheke Island wine tasting is that the cellar doors (tasting rooms) stay open really late. Many of them are open from 10am to 9pm, or even later. This will enable you to visit more than a few and stretch your day out a bit. We always recommend a long lunch at a winery! The first thing you’ll need to do is get on the Waiheke Island Ferry that will take you from Auckland to the island in about 35 minutes. The ferry ride will give you an opportunity to take some great pictures of the Auckland skyline and stunning coastline, as well as the islands that dot the Hauraki Gulf. There are two ferry options: Fuller’s and Sealink. Fuller’s: Return adult tickets on Fullers are $38 NZD (though they do occasionally have deals). This will get you to and from the island, however do note that this is a passenger-only ferry so you can’t take your car across. The ferry departs from the downtown Auckland ferry terminal at 99 Quay St. They also offers lots of different pre-arranged tours and experiences on the island, which can be a really good way to go if you don’t want to have to worry about transportation and making appointments. In any case, be sure you book your ferry tickets or your tour as much in advance as possible so you get the times and tours you want. Sealink: a car ferry that leaves from either Half Moon Bay in East Auckland or Wynyard Wharf in Auckland City and takes you to Kennedy Point on Waiheke Island. A vehicle and 2 adults cost approximately $250 NZD for a return trip, unless you buy super saver tickets. Check their website for timetables and rates. You should arrive at the ferry terminal at least 20 minutes before your scheduled Fuller’s ferry to make sure you get in line and on board in time. In the summer, this trip is very popular and you might have to deal with lines and lots of people, so give yourself plenty of time. For the car ferry, you’ll want to arrive even earlier. If you’ve booked a Waiheke Island wine tour (like this one), it will include a roundtrip ferry ride as well as transportation on the island to take you to the planned wineries. Many tours (like the one just mentioned), include an all-day bus pass so you can stick around longer on the island and explore more on your own if you wish. When the tour is over, obviously the tour bus takes you back to the ferry, if you want to go right away. If you brought your car over on the ferry, you’ll be good to go explore where ever you want. But most likely you don’t have a car. The majority of the people visiting Waiheke Island come without a car. It’s not a problem. There is a good bus service that will take you within walking distance of pretty much anywhere you want to go. Just make sure you have the bus schedule handy. PRO TIP: An all day bus pass allows unlimited travel for the day for $10 (adult), $26 (family), $6 (child). You can buy a pass at the ticket office in Auckland or on Waiheke, and also on board the ferry. If you don’t want to take the bus, you can easily call a taxi at any of the wineries to take you to the next one. You can also sometimes walk between wineries. We did that a few times. It’s not short distances, but a little walking never hurt anyone. Another option would be to rent a car (or bike or scooter) on the island. To make it easy, here is a link to a site with all the car rental options on Waiheke. If you’ve booked a tour, it’s mostly likely that you’ll visit one of the first three wineries (if not all of them) on this list. These are the most popular wineries with the tour companies. Don’t fret – they are popular for a reason. Yes, they can handle big groups, but they are also very well known and have fantastic wine. You can’t go wrong with a visit to any of these wineries. If you’re planning your own wine tour on Waiheke Island, you can be a bit more adventurous and add a few of the more off-the-beaten-path wineries to your itinerary. Just remember to always book in advance! You may want to make your first stop at Stonyridge Vineyards. Using the French style of winemaking, Stonyridge focuses on Bordeaux-style Cabernet-dominant red blends. The grounds are beautiful, acres of vines stretch out across the ridge and we enjoyed the tastes of a few different reds they poured as they showed us around the grounds. We also had a nice, light lunch paired with a few more samples, including the top-rated and highly sought after Larose (their signature Cab-dominant blend). Also try their Luna Negra Malbec. One of my favorite wineries on Waiheke Island is Mudbrick Vineyards. It’s set atop the mountain with a stunning view of Auckland. We loved the tour of the vineyards and surrounding grounds. There’s not a bad view from anywhere on the property. We also really enjoyed their wines, especially the Reserve Merlot. The restaurant, again with a priceless view, is one of the most acclaimed on the island. You will want to stay for a 2-course lunch with wine pairings. It’s one of the best ways to enjoy their wines. And believe me, you won’t ever want to leave. The views are very enticing, particularly if you’re lucky enough to dine on the terrace. Note: You’ll have to take a taxi or drive here, the bus doesn’t come close enough. Make an appointment: No booking necessary for wine tasting for less than 10 people. Another of my favorite wineries in Waiheke Island is Cable Bay Winery. Cable Bay has five vineyards located throughout the western end of Waiheke Island, and their cellar door is located right in the middle of the action. The building is quite modern-looking. It has a curved roof to mimic the look of a barrel, and there are floor-to-ceiling windows to allow for magnificent views of the vineyard. We love their Merlot. A wine tasting at Cable Bay costs $10 and includes four of their current releases. You don’t have to book for a wine tasting, which can be done between 10am-5pm. They also have a tour and tasting for $20 that includes the same four tastings, or a Connoisseurs tasting for $50 that includes their reserve wines. Both of these tours must be booked in advance. They also have a restaurant. Check out their dining options here. If you’re looking for the perfect retreat for your family on Waiheke Island, check out the Cable Bay Villa. It’s a 5-bedroom country home in idyllic Church Bay that sleeps 10. The cellar door is one you don’t want to miss. It’s the only one with a beach-front tasting room on Waiheke Island. Mostly the winery views on the island are from above. This one is right on the beach, and it’s spectacular. Mind you do have to take a rather long drive down a dirt road to get there. It’s worth it. Trust me. The wine tasting is offered for free here. You’ll probably want to stay for a picnic, to let the kids run around the yard, or to sit in the lovely tasting room with a food platter (bread, meats and cheeses for 2) and a glass of their fantastic Pinot Gris. They have both a flagship and estate range of wines, including Sauvignon Blanc, a red blend (Cabernet Franc, Merlot, Malbec), Chardonnay, Rose, a Syrah – Viognier blend, and a few others. You may just fall in love with them all, if you haven’t already fallen in love with the location. Make an appointment: Groups of less than 8 need no appointment. Over 8 must have advanced reservation. Batch Winery truly embraces the boutique winery style. 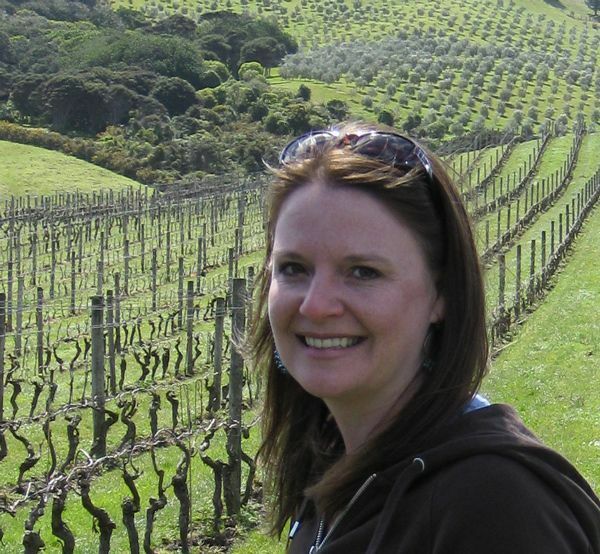 They make only small batch wines that are meticulously created and cared for. The labels on the wine reflect that care that was put into the creation. They have the batch number right on the label, so you know you’re drinking something very special every time you open a bottle. The visit to Batch Winery is equally lovely. The views are tremendous, but you’ll also be greeted almost like you’re visiting family. Batch Winery is a stop on the Hop On Hop Off bus (which you can book here), so it’s convenient to reach for anyone using that method of transport. They have a nice restaurant with plenty of food choice, including great desserts and afternoon tea. This place is not just a winery. It’s a lot of different things. Wild on Waiheke is where you want to go to try just a bit of everything. They have a brewery, winery, restaurant and tons of other activities like archery, laser clay-bird shooting and giant chess. We picked out a couple of beers and wines to try, but didn’t participate in any of the other activities. I can see it being a fun place to hang out and play with your family or friends, and because of that, it can get really busy especially on the weekends. The tasting room is small with a few tables. You can choose what you’d like to taste from their menu. If you’re looking for organic wines, Kennedy Point Vineyard is the only certified organic winery on the island. It has a unique location overlooking Kennedy Bay. They don’t have a restaurant, but you can pair your wine tasting with some delicious local oysters, cheeses and smoked salmon. They also make olive oil, avocado oil, and honey, which you can taste at the cellar door, along with their award-winning wines for $9. Anne Stanimiroff and Colin Sayles were asked by the winemaker at Stonyridge Winery to make olive oil from the trees on the estate, and the idea intrigued them enough to plant their own olive trees and buy an olive press to begin production of their own olive oil at Rangihoua Estate. At the tasting room, you can try their olive oils, as well as wines by Hay Paddock Vineyard, established by Chris Canning in 2003, who makes award-winning Syrah. Tours are charged per person and you will need to allow around 45mins. Minimum charge is $55 or $7 per person. Make and appointment: P: +64 09 372 6214 or use contact form. This list of Waiheke Island wineries should give you a more than enough to do while you’re there. But don’t forget to head into town for a look through the shops and a maybe even a nice dinner before you head back on the ferry. If you’re on the fence about this tour, you shouldn’t be. The side trip to Waiheke Island for wine tasting is quite an unexpected treat. Have you done any Waiheke Island wine tasting? What were your favorite wineries? I can’t wait to go back and visit some of these lovely estates again. If you’re in New Zealand and looking for more things to do, check out these quirky things to do on the North Island and our list of romantic getaways in New Zealand. 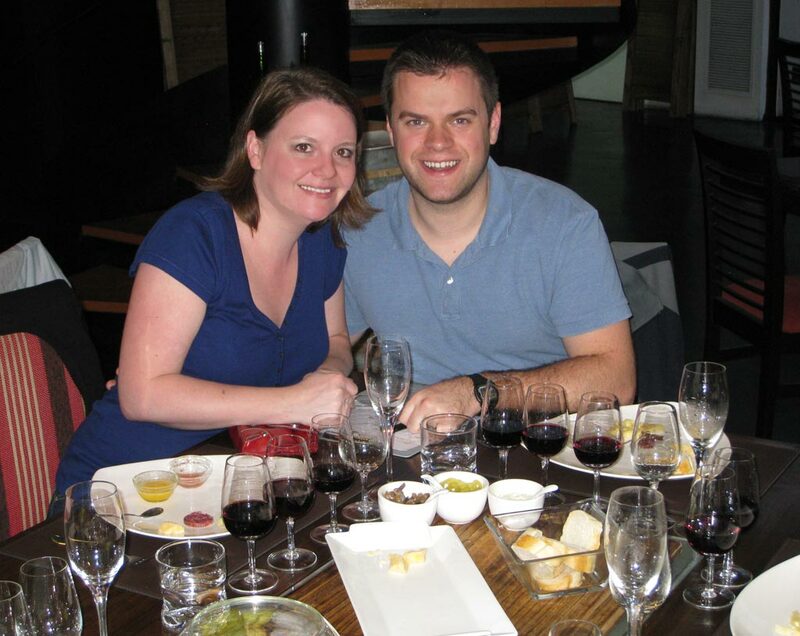 This entry was posted in Wine and tagged New Zealand, wine tasting, wineries.